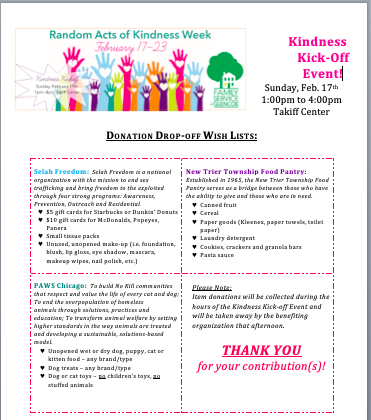 Come create some Random Acts of Kindness with family and friends. We will have food, information on places to volunteer, things to make and we will collect items for different causes. We are also collecting hats and gloves for Whittier School in Waukegan. Ages 5 - 11.